Made up of randomly chosen female names found on social networks of current citizens of Skopje named Alexandra, 1000 Alexandras is conceived as a multimedia monument to all Alexandras currently living in Skopje, Macedonia. Initially selected to be shown during the city-funded 2011 Skopje Summer Festival as a public projection onto the newly-erected 33-meter-high bronze statue of Alexander the Great in Skopje's central square, the project was prevented from being realized due to a denial of permit by the municipal authorities to use the public space of the city square citing “security concerns”. 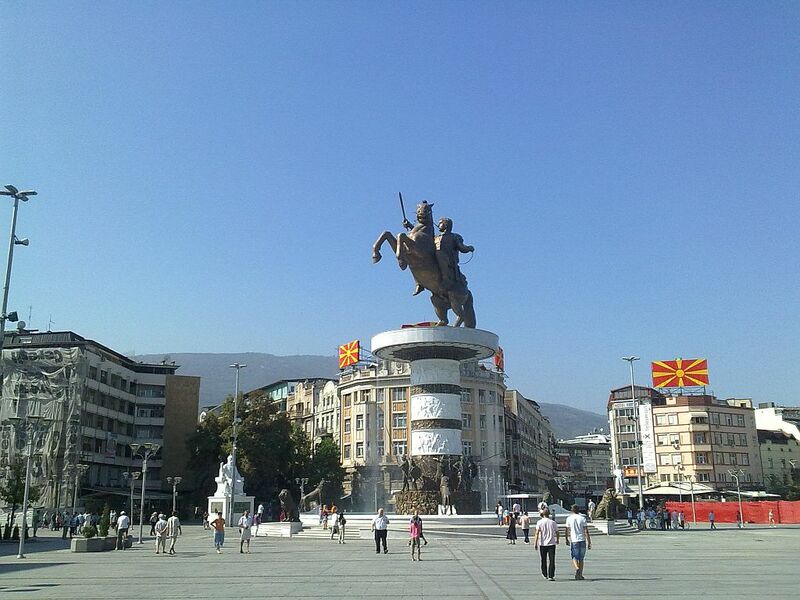 The project was subsequently converted into a video for a 140m2 video billboard located in the main square of the city overlooking the statue. However, it was again prevented from being shown by a last-minute cancellation from the company operating the video billboard, without any explanation. This makes the video the first art project censored on ideological grounds in post-socialist Macedonia. Questioning cultural and material values, conventions and authorities, Poposki's projects celebrate the importance of the ordinary and the overlooked in his tactical use of instruments of historic memory creation/glorificati.on. Continually calling for a celebration of the present, of the creative power of the everyday and the multitude, their aim is to create a new urban alphabet of the topographic, political and affective idiosyncrasies of public spaces in Skopje.